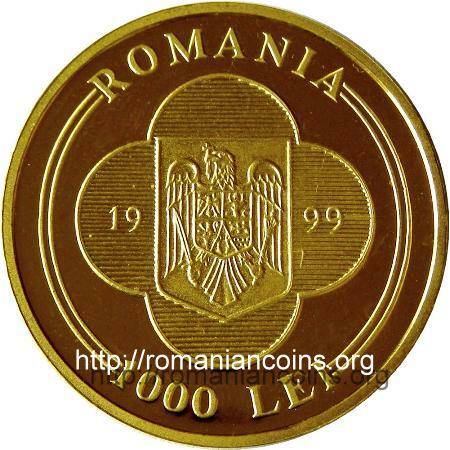 The pictures of the coins above are present on Romanian coins through the kind permission of Mr. J. Ardelean. 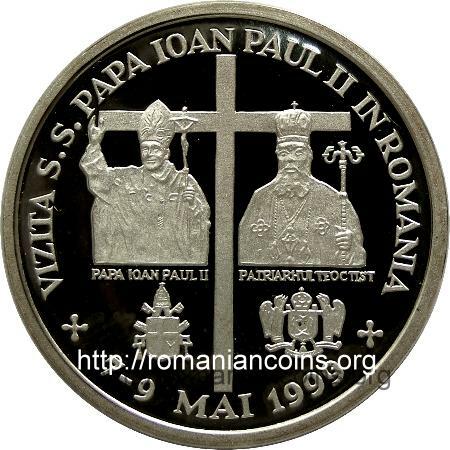 The coin was occasioned by the Pope's John Paul II visit in Romania. 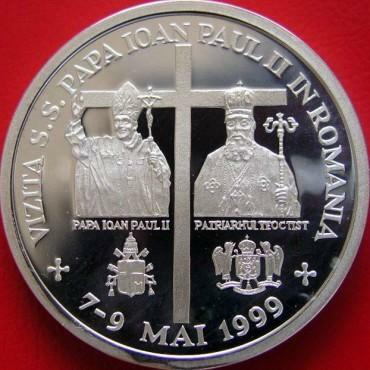 John Paul II was pope between 1978 and 2005. The official title of the pope is: Bishop of Rome, Vicar of Jesus Christ, Successor of the Prince of the Apostles, Supreme Pontiff of the Western Church, Patriarch of the West, Primate of Italy, Archbishop and Metropolitan of the Province of Rome, Sovereign of the State of Vatican City. Yet one more thing that should be so very interesting for English language speakers and not only: pope, for the Orthodox Church, is every single parish priest! Check Webster. 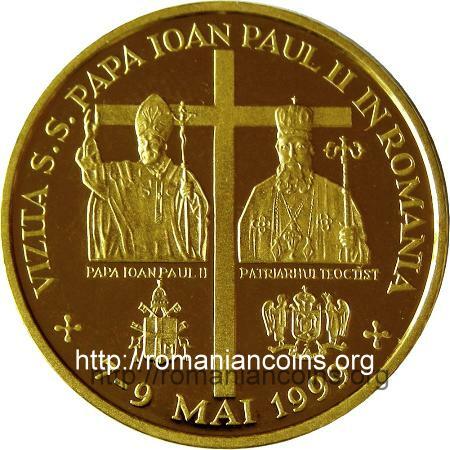 The sounding resemblance is quite important in Romanian: in Romanian "papă" is the word designating the bishop of Rome and "popă" the mere priest. 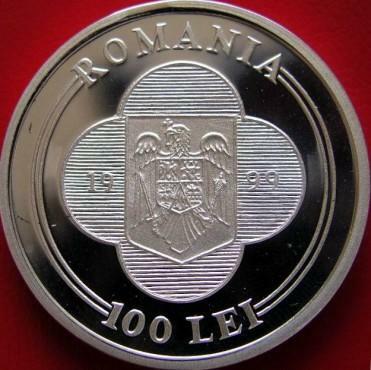 Teoctist Arăpaşu was patriarch of Romania between 1986 and 2007, being succeded in the see by the metropolitan of Moldavia, Daniel Ciobotea. 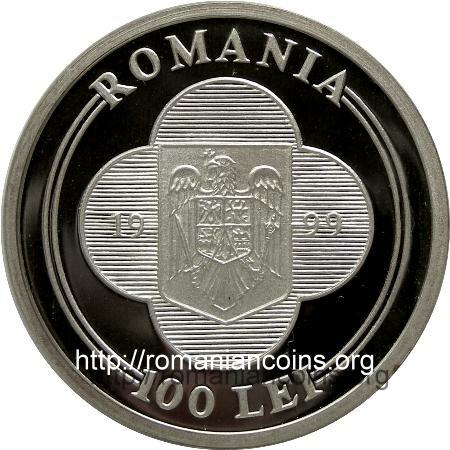 The aluminum coin essay pictures below are present on Romanian coins through the kind permission of Mr. Florin L..